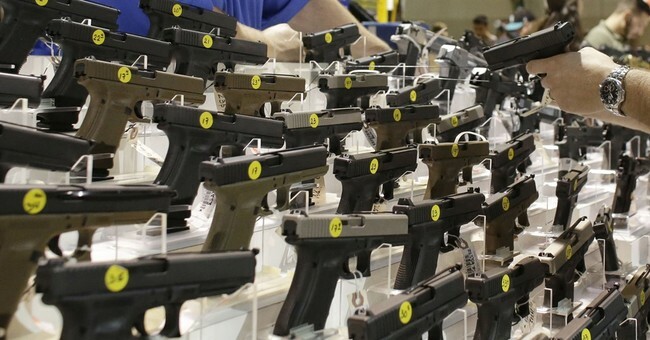 A firing range in Michigan is rolling out a new force-on-force training model that allows students to use their own every-day carry (EDC) handguns, holsters, and live ammunition as they engage live, human opponents also armed with handguns and real ammunition. A new gun training program uses real guns and real bullets to give trainees a feel for what it’s like to be in a real gun fight. “It is the next evolution of training and it’s as close to real as you can possibly get,” says Bill Kucyk, the owner of Action Impact Gun Ranges. Kucyk will soon roll out the new training system for both civilians and those in law enforcement. The trainees and actors use real guns loaded with real bullets. “For me, even having a ton of shooting experience, some of it – I don’t want to say goes out the window – but in a stress scenario you kind of stop thinking about all that,” says gun owner Stefan Bahri. The unnamed training system here is brilliantly simple in concept, at least from what we can make out in the video report above. You can make out the edge of the mirrored material on the left, and see the bright marks of two previous bullet strikes on the material from a prior training iteration. The student and his role-playing attackers are actually on the same firing line, both oriented downrange towards the backstop, with a ballistic panel barrier separating them. Some sort of floor-to-ceiling mirrored material is suspended downrange in front of the backstop, and gives the appearance of antagonists facing off against one another. When the student and assailants fire, their hits are seen downrange as holes in the reflective material. What wasn’t discussed in the video or print story (and which may have been purposefully withheld) was whether a video recording system is in place to conclusively capture the hits to avoid the inevitable, “But I got him!”/”No you didn’t, I moved!” arguments that we can expect to occur otherwise. I think this system has some obvious advantages, and if executed well, it should be a great training tool for both law enforcement and regular citizens. The most obvious advantage is that the student will be able to use his unadulterated guns, holsters, and gear in scenario-based training, which typically isn’t possible. Simunitions, UTMs, and airsoft-based scenario training either use dedicated systems or some combination of modified barrels and bolts (depending on the real firearm). Also, Simunitions and UTMs are limited in the number of different firearms they can reasonably expect to support. 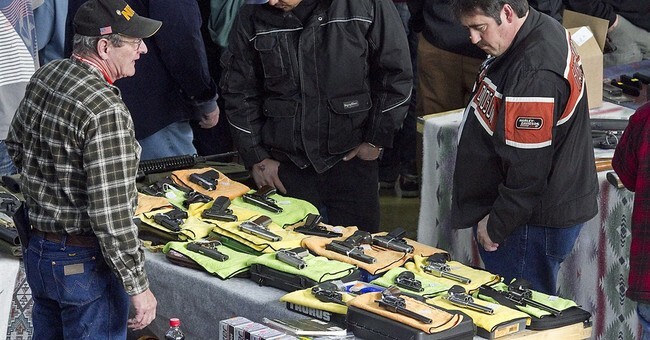 This means that they only offer up a small representative sample of firearms typically used in their primary markets of the military and law enforcement. Likewise, many of these simulation guns are typically used with near universal belts and duty-type holsters carried outside the waistband. This new system with allow students to use not just their own guns, but their own holsters, the way they opt to carry them in the real world. This helps address the problem of training to act and draw a gun one way on the range and in most scenario training environments, but carrying it as a concealed carrier in an entirely different manner. Simunitions/UTM training is invaluable, but I don’t open carry my EDC gun like this outside of class, and don’t wander around wearing a protective helmet and codpiece… as far as you know. In my opinion, the system being rolled out at Action Impact Gun Ranges is going to be a great proof-of-concept “finishing school” to shake out what people real use and carry, providing them and knowledgeable trainers a venue to see what really works with a student’s every-day carry gear… and what doesn’t. Ideally, in a magical world where time and cost in no object, I’d like to see this incorporated into a training cycle somewhere like this. A continuing cycle of advanced and specialized training, with the “mirrored” training used to “proof out” changes in EDC guns, holsters, and gear. We also need to realize that the mirror training (we really need a good name for this) is not the “best” tool in our training options quiver, but just one of many tools, and is a tool that will be most useful for those with an intermediate to advanced training level, and some sort of prior scenario-based training. It isn’t going to do someone much good—and may actually increase the danger of a negligent discharge and injury—if the student doesn’t have bedrock layer of good safety training, marksmanship fundamentals, weapons manipulation skills, and a prior inoculation to shooting under stress with some prior simulation training. It’s also clearly not suitable for “hands on” CQB, and weapons retention training, or any sort of training incorporating much movement beyond drawing and firing a handgun. All those caveats known, I think this mirror training has a lot to offer both law enforcement officers and serious students of armed self defense, and I would like to see more innovative ideas like this incorporated into firearms training.